Sometimes the only way to alter the future is to go back to the past where it all started. 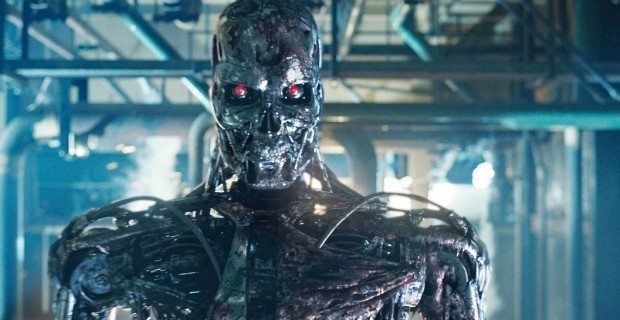 As for Terminator Genisys, that means going back to the first movie in the science-fiction franchise and changing the original course of events. Directed by Alan Taylor, whose credits include 2013’s Thor: The Dark World, this movie pays tribute to the classic material created by James Cameron in the first two films. Arnold Schwarzenegger (Arnie for short) stars as T-800, a Terminator created by self-aware intelligence system Skynet. With this, Arnie reprises the iconic Terminator role that launched his career and gives a much-awaited comeback for fans of the franchise. Needless to say, he also delivers most of the comedic lines, especially “I’ll be back”, which is used with aplomb and a touch of humour. Australian actors Jason Clarke and Jai Courtney star as John Connor and Kyle Reese respectively. Leader of the Human Resistance against Skynet, John sends Kyle back in time to 1984 to protect his mother, Sarah, against the Terminator. This seemingly rounds up the plot backstory that began from The Terminator, but it’s also where the plot twists arise, and a new chain of events unfolds. Emilia Clarke, best known as Daenerys Targaryen in Game of Thrones, plays Sarah Connor. Mother of John Connor, Sarah’s character represents feminine strength which Clarke clearly does her best to portray. Her performance, however, simply does not match the high standards set by Linda Hamilton, the actress who first played Sarah. South Korean actor Lee Byung-Hun plays the T-1000, comfortably filling in the shoes left behind by Robert Patrick in Judgment Day. Last but not least, fresh from his Oscar-winning performance in Whiplash, J.K. Simmons returns to the big screen as supporting role to the main cast members. In general, the new faces live up to expectations of the characters left behind by their respective predecessors, and they provide convincing chemistry amongst themselves that continues to engage viewers. As the movie backtracks its history, it delves into the timeline of events dating back and introduces new plot elements. Scenes in The Terminator and Terminator 2 are re-enacted with improved visual effects, and Arnie’s body is recreated with utmost realism. To say the story is well fleshed out is an understatement as the filmmakers had to not only make sure everything is told in chronological order, but also be as logical as possible. Nonetheless, it’s science fiction after all, so it doesn’t always have to make sense. In what serves as a sequel as well as a reboot of sorts to propel the franchise into a new trilogy, Terminator Genisys is the fifth instalment and acts as a retroactive continuity to the series. It could also work as a standalone movie, though having seen the previous films will give a clearer picture of the exact changes that occur. It may not be blockbuster per se, but it does provide a handful of nostalgia to returning fans of the franchise. Terminator Genisys is now showing in regular theatres, as well as IMAX 3D.